Bitcoin Price Watch; How Low Can You Go? We are closing in on the end of another week, and it hasn’t been a particularly good one so far from a long-term valuation perspective. 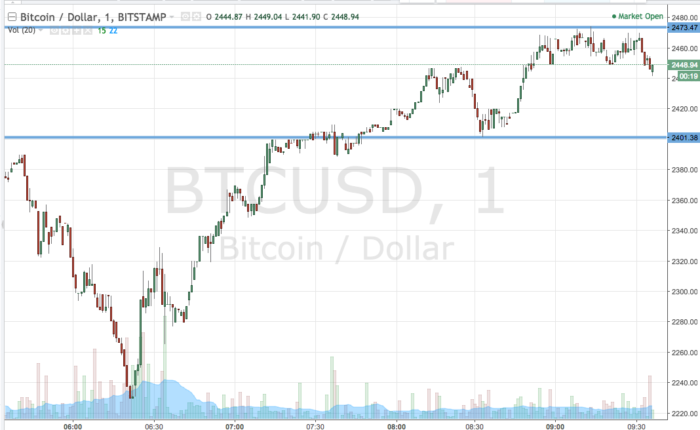 The bitcoin price continues to correct from highs registered towards the end of last week and currently trades in and around the 2500 mark. What started out as a relatively minor correction is now becoming pretty substantial, and while price remains well within the parameters necessary to consider the recent run a solid one, it looks as though profit-taking may push things down a little farther before the correction bottoms out. The question is, how far will things fall? The answer, of course, is that we don’t know – at least not right now. We are monitoring price closely for any indication of a near-term bottom, but as yet, we have not seen one. From a short-term trading perspective, it doesn’t have too much of an impact on the way we approach the markets. If anything, it just means we have to keep our upside risk pretty narrow, as the overarching momentum seems to be with the Bears right now. So, with all this noted, let’s try and outline some levels with which we can approach price during the session today. Take a quick look at the chart before we get started to get an idea of where things stand.